It’s that glorious day that only happens once a year. I’m of course talking about Free Pancake Day at IHOP. 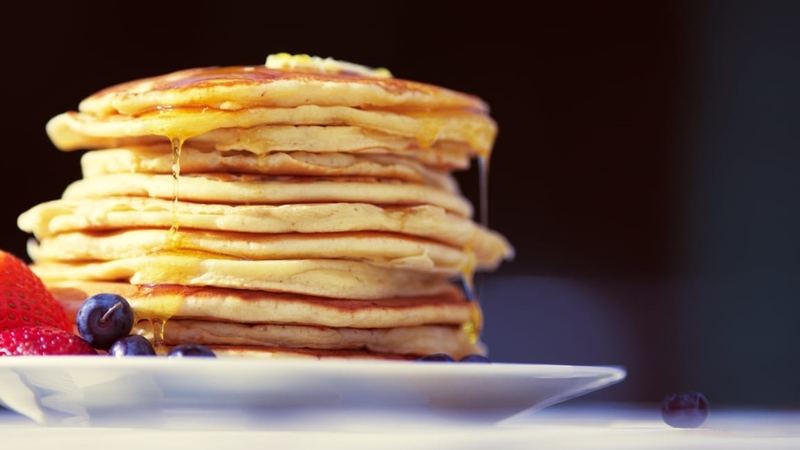 This year’s IHOP Free Pancake Day takes place today, March 12, from 7 a.m. to 7 p.m. (some select locations will be offering free pancakes until 10 p.m. as well). During that time, swing into your local IHOP and get a short stack of buttermilk pancakes on the house. And yep, there’s no catch—you don’t have to order anything else to get the free pancakes. What you can do, however, if you so choose, is also donate something to one of IHOP’s charity partners that help fund treatments for children battling critical illnesses. These partners include the Children’s Miracle Network Hospitals (CMNH), the Leukemia & Lymphoma Society, and Shriners Hospitals for Children. Any donations you make will go to the local branches of these charities. So what are you still doing here? Get on over to IHOP and slather some heavenly golden syrup on your free pancakes and leave a little something for a good cause while you’re at it.